Mary Richmond was born in 1920 in Vancouver, British Columbia. She graduated from Vancouver General Hospital in 1943. After three years of general duty at VGH, she attended McGill University to obtain a diploma in teaching and supervision. She returned to VGH to teach, then several years later continued her studies at McGill to obtain a BSN. In 1951, she became the Director of Nursing Education at the Royal Jubilee Hospital (RJH), Victoria, where she initiated programs in tuberculosis, public health, and psychiatric nursing. Mary Richmond left the school in 1955 to obtain her MA from Columbia University. A year later, she returned to RJH as director of nursing from 1957 to 1960. 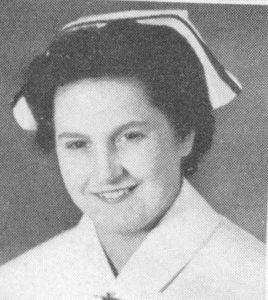 During 1957-1958, she chaired the Registered Nurses Association of British Columbia (RNABC) committee on nursing education. She was western chairperson of the board of review in connection with the Canadian Nurses Association's (CNA) pilot study on the accreditation of schools of nursing in Canada. In 1960, Mary Richmond left the RJH to become an assistant professor of nursing at McGill University. 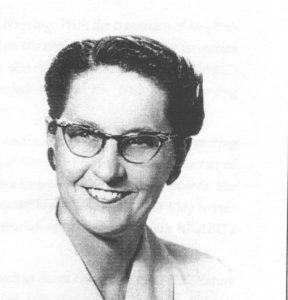 Mary Richmond returned to Vancouver to be the director of nursing at VGH from 1964 to 1973. She was active in forming the Council of Hospitals with the Schools of Nursing, a committee of representatives from all the nursing schools in BC. In 1967 the committee recommended that the training of nurses should take place in the post-secondary educational system. In 1974, Mary Richmond returned to Victoria to take up the newly created position of Director of Educational Resources at RJH. That same year, she was appointed nursing consultant to the University of Victoria's new School of Nursing. From 1976 to 1983, she was adjunct professor at UVic, while retaining her job at the RJH. In 1984, she was appointed visiting professor at UVic, and from 1991-1992 was acting director of nursing at the School of Nursing. For her work with the university's School of Nursing, she was made an honorary member of its alumnae association. The Mary Lewis Richmond bursary was established by the University of Victoria in 1998. She died in 2002. Fonds includes 9 cm. of textual records and three photographs dating from 1950 to 1998. It includes transcripts of talks and lectures given by Richmond for the UVic School of Nursing, Royal Jubilee Hospital’s medical staff, Nurses’ Association Seminar and VGH graduation. Titles include “Let’s Examine the Quality of Care” and “Improvement of Nursing Services Through the Problem Solving Method”. Correspondence pertains to Mary Richmond’s role as Director of Educational Resources at the RJH and to her consulting work for the University of Victoria’s nursing program. Photographs include two of her 1943 graduating class and a photograph of her with an unidentified individual.